This story was produced in collaboration with WABE, the public radio station in Atlanta. Georgia Gov. Brian Kemp — who last year received national attention for purging hundreds of thousands from the state's voter rolls — quietly signed a reform bill last week that will make it a little easier for people to vote. The bill tweaks the state's so-called "use it or lose it" policy under which people who don't cast ballots in multiple elections can be removed from the voter rolls. Georgia voters will now have their registrations canceled after nine years of inactivity, instead of seven. The bill also requires that voters receive an additional notice in the mail before they're removed from the rolls. The changes follow an investigation last year by APM Reports, WABE, and Reveal that found in July 2017 Kemp, who was then secretary of state and planning to run for governor, oversaw the purge of about 107,000 people from the registration list, largely for not voting. Kemp, a Republican, has defended the practice as a way to ensure accurate voter rolls and protect against fraud. But critics contend that "use it or lose it" is a form of voter suppression. They say that many of the people purged may not have realized they'd been dropped from the rolls. If those people showed up to vote in the 2018 midterms, they wouldn't have been allowed to cast a ballot. Voting rights advocates call the reforms a slight improvement but would rather see "use it or lose it" ended entirely. Georgia is one of nine states in which not voting in an election can trigger removal from the voter registration list. Voting rights advocates argue that people shouldn't lose a fundamental right simply because they choose not to vote. But the U.S. Supreme Court last year, in a 5-4 decision, ruled that "use it or lose it" policies don't violate federal law. Purging of voter rolls has been an issue in states across the country. Millions of voters were removed ahead of the 2018 midterms for various reasons, and hundreds of thousands were purged under "use it or lose it" policies in states like Ohio, Pennsylvania, Oklahoma, Montana and West Virginia. The new law signed by Kemp contains a number of other changes to how Georgia administers elections. The measure stipulates that polling places cannot be closed 60 days before an election, blocks absentee ballots from being rejected over signature mismatches, and sets up the state to install new voting machines, among other provisions. The Georgia Legislature passed the reforms after a disputed 2018 election in which civil rights groups and Democrats accused Kemp of attempting to suppress votes, especially of African-Americans. He was running against Stacey Abrams, the first African-American woman to run for governor in the state. Kemp rejected calls to step down from his position as secretary of state, the top election official, during the campaign. He defeated Abrams by about 55,000 votes. There was a flurry of lawsuits before and after the election, and multiple federal court orders meant to ensure all eligible votes were counted. Abrams and Democrats continue to allege Kemp backed policies, including "use it or lose it" purges, that made voting more difficult for young people, people of color, and people with low incomes. 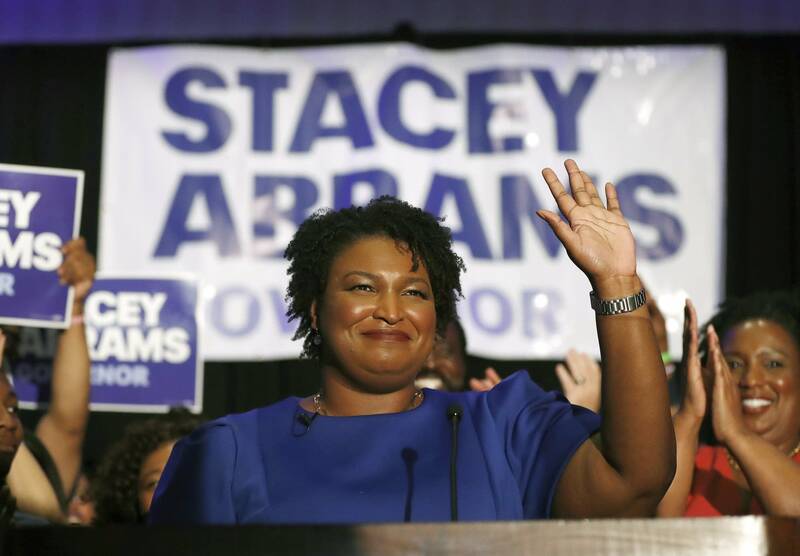 In a recent speech at the National Action Network Convention, Abrams called Kemp an "architect of voter suppression." Kemp has repeatedly denied these allegations, arguing that policies like "use it or lose it" purges help prevent voter fraud. Although, there is no evidence of widespread voter fraud in Georgia. Kemp's office did not respond to requests for comment about why he signed the bill. 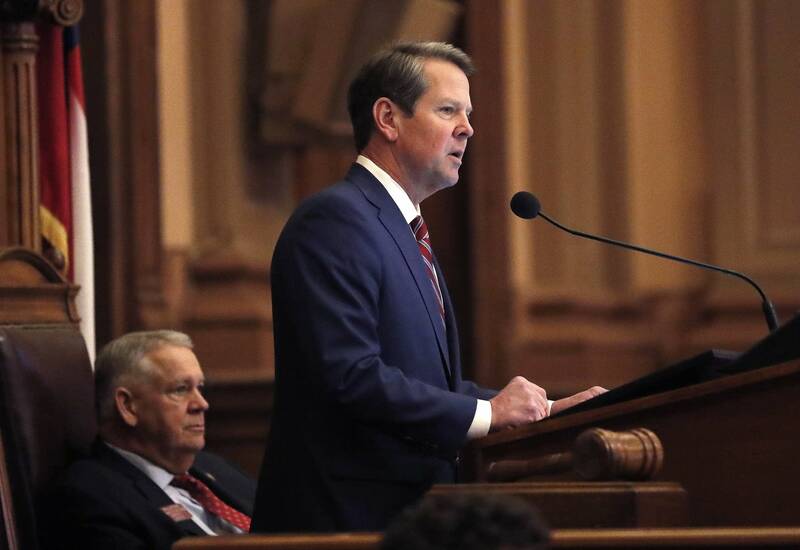 After the Legislature passed the measure in March, Kemp said it "modernizes Georgia's voting system and ensures our elections remain secure, accessible, and fair." While civil rights groups call the new law a modest improvement, questions remain about how it will be implemented, and thousands of Georgians are still set to be purged ahead of the 2020 presidential contest largely for not voting in previous elections. A spokesperson for the secretary of state's office said that the reforms to "use it or lose it" aren't retroactive, meaning any voters already slated to be removed from the rolls will still be purged after seven years. Georgia usually performs maintenance of its voter list in non-election years, which means a new group of people will be dropped from the rolls later in 2019 ahead of the 2020 presidential election. Under the old provisions, anyone who didn't vote or engage in any other election activity for three years would be placed on an "inactive list." Voters placed on the "inactive list" can still cast a ballot, but if they don't vote for two more federal elections over four years, and don't respond to mailers, they're purged from the registration list. Under the new law, the process will take an additional two years. A voter will be placed on the "inactive list" after sitting out elections for five years. They would still have to skip two more federal elections, which means voters will now be removed from the rolls only after they'd sat out elections for nine years. "The pool of voters who are ultimately removed due to no contact should be smaller than before," said Sean Young, legal director with the ACLU of Georgia. The organization has sued the state over how it removes voters from the registration list. Georgians typically need to renew their driver's licenses every 10 years. At the time, unless they opt out, they're automatically registered to vote. Young said that means the removal process is essentially reset for anyone who renews their license and doesn't opt out of registering to vote. If they wanted to vote in an upcoming election, they could still cast a ballot. Supporters of purging voters largely for not casting ballots in multiple elections argue it's necessary to keep registration lists up to date. "We want to make sure the list really is clean, fresh, and accurate," said Republican Secretary of State Brad Raffensperger in an interview before the new law was signed. To Raffensperger, it makes sense that the period for when someone is removed lines up with driver's license renewal. He called this an "objective measure." If someone hasn't voted in five consecutive federal elections, and hasn't contacted the state, "then they really aren't an active voter," Raffensperger said. But Young noted that while the new law is an improvement, the state shouldn't be purging people who don't vote in the first place. "You have the right to vote, and you have the right to not vote," he said. "People who do not vote should not be treated differently from those who do." Johnny Kauffman is a reporter with WABE.